No side effects in normal dose. Nag Keshar (Mesua ferrea) 150 mg. Flavoured sugar base Q.S. Reduces low back pain and anxiety. 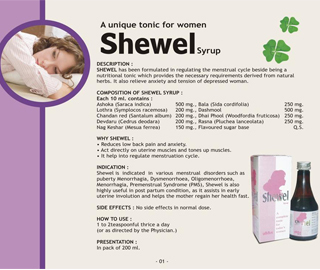 Act directly on uterine muscles and tones up muscles. 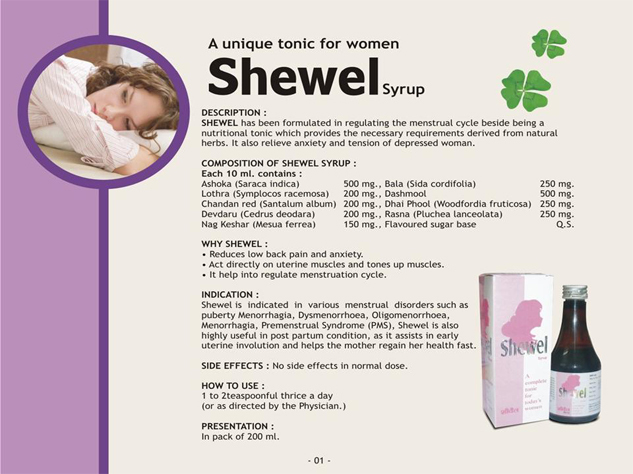 It help into regulate menstruation cycle.